I am scientist, originally from China. After completing my bachelor’s degree in biopharmaceutical engineering in Nanjing, I decided to move to Sweden to do my master’s degree and Ph.D. at Chalmers University of Technology in Gothenburg. It was at Chalmers that I first developed new approaches for single-cell studies using both the BioPen and the Dynaflow Systems. I had just graduated when I heard that Fluicell was recruiting. It was perfect timing and a great opportunity to begin a career in the industry. The job posting was exactly in my field, involving hands-on research, combining microfluidics tool usage with single-cells investigations, which I found very exciting. Could you tell us about your current job at Fluicell? My department did not exist when I joined Fluicell, so I feel a bit like an entrepreneur within the company. I participated in the growth of the company from an early stage, something I feel very proud and privileged to have taken part in. My primary work is centered in research and development, and I am tasked with structuring and deploying experimental finding into both the product development and the application development teams. Being in this bridging role between the development and scientific teams is also very rewarding, as I learn so much every day from my colleagues in addition to the research findings. I am growing along with the company, and that I find amazing. 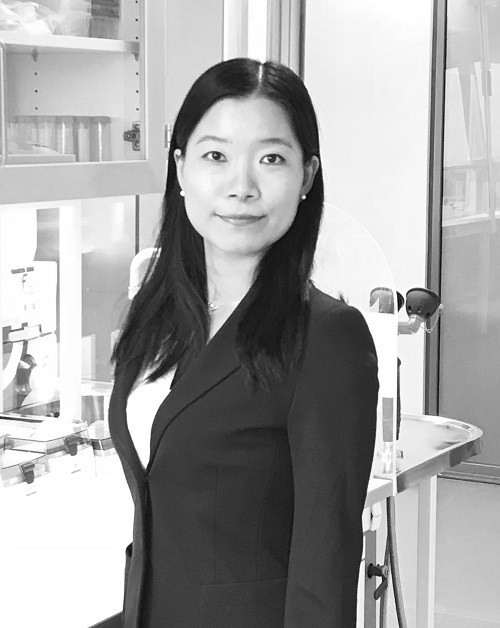 Part of our company growth is into broader global markets, and my experience within the life-science sector in China has enabled me to better establish Chinese distribution channels. Fluicell has two distributors in China for the BioPen system, what do you think about the China’s life science market? China’s life-science market is growing. Opportunities for both multinational and local pharmaceutical companies exist due to both government support of the sector and an increase in demand. However, in order to innovate, China’s pharmaceutical industry needs innovative tools and technologies to expand in a very competitive marketplace. I think having distribution of the BioPen system in China is key to support their need for game-changing tools, while increasing Fluicell’s footprint in the rapidly growing life-science space in China. What would you say about working at Fluicell to people interested in joining your team? At Fluicell, we have an interesting and inspiring team, very diverse in terms of personal and professional background. It’s really fun and rewarding to work in such positive and encouraging environment. Also, in a company like Fluicell, new innovations are always being developed, to remain at the forefront of biotechnological development. This makes for a very dynamic environment.